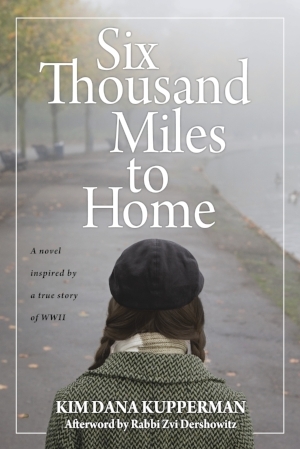 Based on a true story, Six Thousand Miles to Home: A Novel Inspired by a True Story of WWII (Legacy Edition Books; October 2018) by award-winning novelist Kim Dana Kupperman is a timely work of historical fiction is inspired by the true story of a Jewish family from western Poland during one of WWII’s lesser-known episodes, the imprisonment of 1.5-2 million Polish citizens in the Soviet Union’s infamous Gulag. Only ten percent were evacuated to Iran in 1942. Six Thousand Miles to Home is a gripping story about Josefina and her teenaged children who are deported to a forced-labor camp in the Soviet Union, but then find unexpected refuge in Iran at the height of World War II. This is a captivating and rarely-told story of hope and resilience throughout their flight from the Nazis, enslavement in a forced-labor camp, and evacuation out of the USSR to Iran. This is a story about refugees who suffer loss and terrible hardship but find kindness and shelter at the end of an arduous journey across Poland, Russian, Central Asia to the Middle East. With parallels to today’s refugee and immigration crises, Six Thousand Miles to Home in an astonishing saga of the struggle to escape religious persecution. The author relied on facts from historical accounts and interviews with the families to write this unforgettable tale. Ms. Kupperman has been a teacher and editor for over thirty years and has worked as a journalist, writer for nonprofit organizations, and community educator. She was a former faculty member at West Virginia Wesleyan University’s Low-residency MFA Program and Johns Hopkins MA in Writing Program. From 2011-2014, she was the Visiting Writer-in-Residence in nonfiction at Fordham University, and from 2010 to 2015, she was a faculty member at Fairfield University’s low-residency MFA. She was the managing editor of the award-winning quarterly of art and ideas, the Gettysburg Review, where she also developed and coordinated an annual summer writers’ conference. She currently teaches private creative-writing workshops. 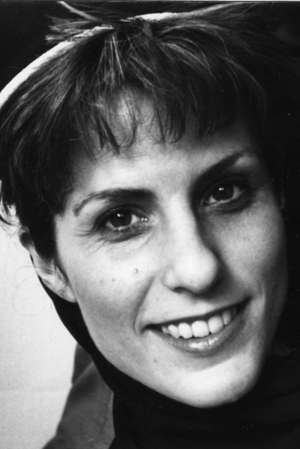 Her work has appeared in numerous literary journals and been anthologized in Best American Essays and elsewhere. Awards include the 2013 Normal School Prize, the 2010 Bakeless Prize in Nonfiction, the 2003 Robert J. DeMott Prose Prize from Quarter After Eight, and first place in the 1996 Elie Wiesel Prize in Ethics Essay Contest. She lives in Clarksville, MD. For more information, please visit www.kimdanakupperman.com. To hear out interview, click on the grey podcast bar below.